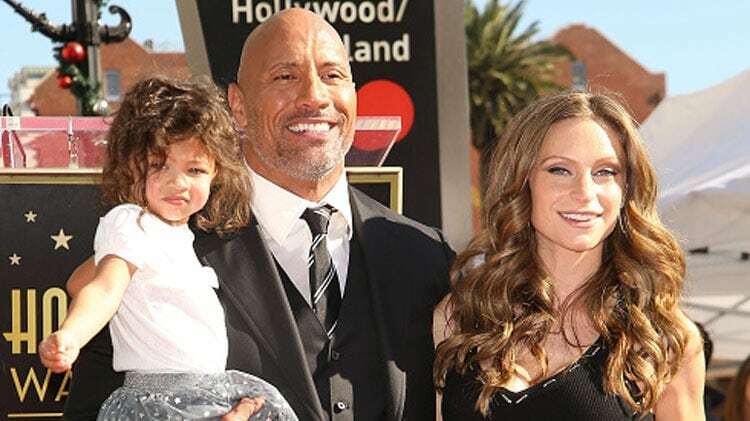 Dwayne Johnson (The Rock) Wife, Daughter, Ethnicity, Parents, Is He Dead? Home Actors & Actresses Dwayne Johnson (The Rock) Wife, Daughter, Ethnicity, Parents, Is He Dead? Dwayne Johnson, also known as The Rock should be the poster boy for finding success in a career change. 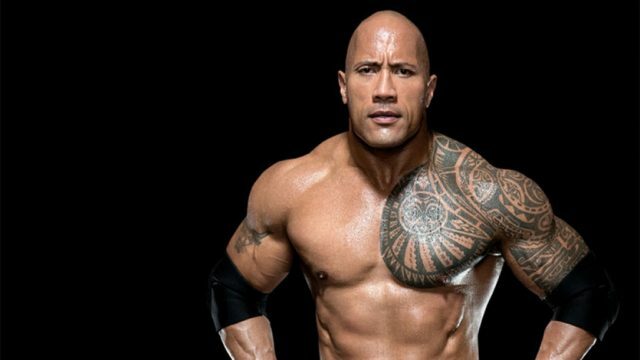 The Rock was his ring name in the professional wrestling world and, the fact that the name has become one of the most popular ones in Hollywood is enough testament to the magic of Dwayne Johnson. While it is not uncommon for sports people to cross-over to Hollywood whether by having a fictionalized narrative on the screen that celebrates their career or even acting post-retirement, Dwayne Johnson is the man who makes it easy to forget that he has not always been the A-list actor that he is now. Below, we consider some other areas of the fascinating life and career of The Rock that all add up to make him such an intriguing character. The Rock was born as Dwayne Douglas Johnson on May 2, 1972. He is the son of a professional wrestler, Rocky Johnson and Ata Maivia Johnson who gave birth to their son in Hayward, California. Considering that his father and maternal grandfather were wrestlers, some would say that wrestling came down to Dwayne Johnson through his blood. Before he fully embraced the life of professional wrestling, however, he played college football for the University of Miami and only began following in the footsteps of his wrestling inclined family members when he was cut from the Calgary Stampeders of the Canadian Football League in 1995. His ethnicity is rich with his mother coming from a Samoan family and his father being a black Canadian with a little amount of Irish ancestry thrown in. When he was younger, Dwayne Johnson stayed briefly with his mother’s family in Grey Lynn, New Zealand. He would later return to the United States with his parents with his father’s job making him crossover to different states including Connecticut, Hawaii, and Pennsylvania. The Rock was heavily into sports in his high school days including football, track and field, and wrestling. Football gave him the most promising prospects; he went to the University of Maimi on a full football scholarship where he played defensive tackle. An injury would sideline him from football glory in college and he would be cut from the Calgary Stampeders later as mentioned earlier. But then, fate had more in stock for Dwayne Johnson. He left the University of Maimi in 1995 with a Bachelor of General Studies in criminology and physiology. After he got cut from football and declared his intent to his father to start wrestling, his father resisted the idea. He later gave in on the condition that he would train him and would not make it easy for him. As Dwayne Johnson, he got hooked up for many tryout matches for the World Wrestling Federation in 1996 by Pat Petterson. In one of such matches he won over the Brooklyn Brawler but he also lost several other matches. It was the start of the birth of The Rock who has now been dubbed one of the greatest professional wrestlers of all time. He has been hailed by numerous people in wrestling including Hulk Hogan and John Cena. A quick highlight reel of his wrestling career would show eight WWF/WWE championships, two WCW/World Championships, two WWF Intercontinental championships and five WWF Tag Team Championships. He also won the 2000 Royal Rumble. While still fully involved in wrestling, Dwayne Johnson was taking bit roles on screen. His first official leading film role was in 2002’s The Scorpion King. He was paid a whopping $5.5 million entering him into the Guinness Book of World Records as the highest paid actor in his first starring role. He has since built a successful career in Hollywood where he is known for his work ethic – he regularly works on numerous projects at once. Perhaps, one of his prominent acting roles is as Luke Hobbs in the Fast and Furious franchise. In 2016 he was the highest paid actor in the world. Dwayne Johnson actually met the woman who was to become his wife at the University of Maimi. Her name is Danny Garcia and the two got married on May 3, 1997. Danny Garcia became a part of the board of trustees for the University of Maimi and also founded a Miami-based wealth management firm. The two have a daughter who they named Simone. She was born on August 14, 2001. In June 2007, the couple announced that they were splitting up. Following the divorce, Dwayne Johnson started dating Lauren Hashian. The two met while The Rock was filming The Game Plan. Lauren Hashian is the daughter of Sib Hashian, the late Boston drummer. They had a daughter, Jasmine, on December 16, 2015, and another daughter Tiana Gia Johnson on April 17, 2018. See Also: Hill Harper Married, Wife, Children, Net Worth, Parents, Bio, Is He Gay? The Rock is most definitely not dead although with the survival matches he took part in while with the WWE, some would argue that he came quite close. The Rock – the superstar wrestling champion, actor, producer, director and father is very much alive and well. He remains one of the biggest names in the entertainment industry in the United States of America.